FAST AFFORDABLE CAR KEY PROGRAMMING IN SOUTH LONDON. WE COME TO YOU. Key reprogramming In London can reprogram a car key in a very short time – but if you’ve ordered up a new key for your vehicle from a main dealer to replace a lost key or broken key, their way of key programming is inconvenient. You’ll need to take the vehicle in to their workshop, possibly leaving it for the day, so that they can tie the key to your vehicle’s transponder to make the car recognise the key. Reprogramming car key In London can make the whole thing far easier for you. We come out to you, at your home, office or even by the roadside if your key has developed a fault while you’re out and about. Our mobile workshop vans have all the equipment needed to reprogram keys on board. 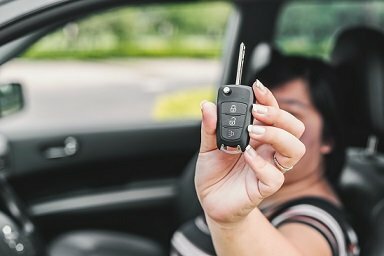 WHAT CAR KEYS NEED PROGRAMMING? Since 1995, all cars manufactured have had a built in immobiliser. This is turned off automatically when you put your key in the ignition by a transponder chip which is built into the head of the key. The chip must be programmed to match your car’s immobiliser setting. The keys supplied with the vehicle when its new have been factory set to do this, but keys need to be programmed to be usable. To know how to reprogram car key in London choose our experts. WHAT MAKES OF CAR CAN WE PROGRAM CAR KEYS FOR? Almost any model and any make. Different immobiliser systems work in different ways, but it’s very rare for us to find a car that we can’t program new keys for. Mercedes key reprogramming In London use the very latest software and industry standard equipment. If your vehicle comes from Ford, Vauxhall, VAG, Renault, Peugot, Mercedes, Citroen or any of the other major car manufacturers, we should be able to program keys for you. If you still have your car key but its transponder chip has developed a fault, we can reprogram car key in London replace the chip for you and reprogram it to work with your car. Again, we can do this for just about any make of car in London. It’s just a single call to us – we’ll arrange a time to come to you, and within an hour or less we’ll have your key working again. We can supply and program (or reprogram) brand new keys, or sets of multiple keys, for your car. This means that if you need an extra key for another family member, we can come over, supply the key and set it up for you. This also means that if you’ve bought a used car, or had your keys stolen and wish to make sure that no-one else holds keys to your vehicle, we can supply new keys. car key reprogramming near me reset the car’s ECU to use a different code to its original one (rendering lost and stolen keys unusable), and then program as many keys as you’d like to the new code. Once that’s complete, you can be certain that only you have the keys that will now operate your vehicle. You don’t need a main dealer, and you don’t need to take your vehicle anywhere and leave it. Call Locksmith London. We’ll program (or supply and program) your keys for you quickly and affordably.